How Do I Get the Breast Milk Fat Off the Sides of the Bottle? 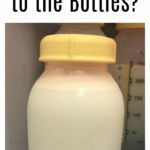 You are here: Home / Bottle Feeding Breast Milk / How Do I Get the Breast Milk Fat Off the Sides of the Bottle? By Amanda Glenn Leave a Comment October 31, 2018 This post may contain affiliate links. 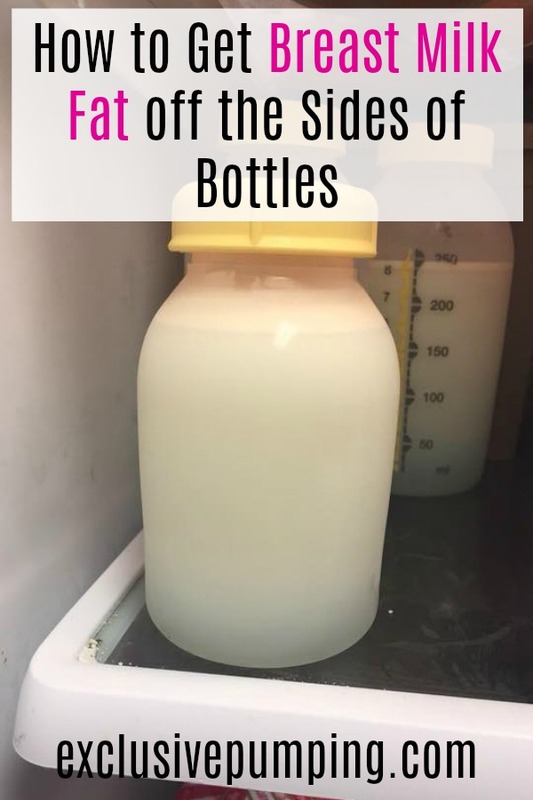 When you go to pour breast milk out of a bottle that’s been refrigerated, it can be hard to get all of the fat off the sides. 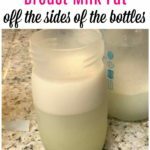 Here’s how to easily get all of the breast milk out of your bottles so you don’t waste any milk. My baby is 10 days old, and I am exclusively pumping. My question has to do with storing breast milk in the refrigerator or freezer. When I go to pour milk into a bottle to feed my baby, some of the milk sticks to the sides of the bottles or the breast milk freezer bag, and it doesn’t all make it into the bottle that I give my baby. Is this a problem? If so, how can I get this milk to unstick? A: The breast milk that is sticking to the bottles or bags is the fatty part of the milk, and it’s not a big issue if not all of it gets into the bottle your baby drinks. The only time I would be concerned is if you think you may have an issue with foremilk/hindmilk imbalance (and therefore possibly a shortage of fatty milk in the first place), or if you want to be careful not to waste any breast milk due to low milk supply. 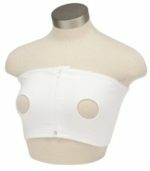 The easiest way to get the fatty parts off the sides of the bottle or breast milk bag is to warm it. When breast milk is warmed, it doesn’t stick to the sides anymore. So, if your milk is in the fridge, you can warm it in a bottle warmer (or just put it in a bowl of hot water for a minute or two), and everything should mix together. 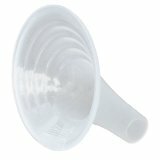 It’s a little trickier if you need the milk for later and aren’t able to warm the milk when you’re preparing the bottle (such as if you are defrosting breast milk to send to daycare). In this case, the best way to get as much fat off as possible is to run the bottle or bag of breast milk under cold water and swirl the milk around until most of it comes off. 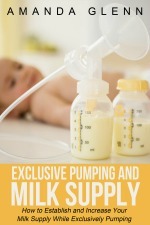 I am exclusively pumping for my 2 month old, and I am lucky enough to have a big oversupply. I normally pump 55 oz per day, and my baby eats 30 oz. My freezer is full of milk. I just ordered a deep freezer and am starting to fill it up. I know that frozen milk is okay in a deep freezer for 6-12 months. 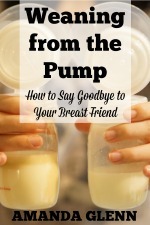 My question is, do you have any tips for making sure that you use your breast milk before it goes bad? How do I know whether mine is good for 6 months or 12 months? And is there any problem with feeding a 12 month old baby milk that I pumped when he was 3 months old, since breast milk changes over time? A: That’s fantastic that you have a great supply! Okay, to make sure that you use your breast milk before it goes bad, I would plan on rotating your frozen milk. Basically, what that means is that you feed your baby the oldest milk from your freezer while freezing the fresh milk that you would have fed your baby. By doing this, you use up the old milk and extend the life of your freezer stash. Some ways to do this are to pick one day a week where you only feed frozen milk (and freeze everything you pump), or you could designate one feeding every day where you only feed the oldest frozen milk. As far as whether it’s 6 or 12 months (that is a pretty wide range! ), I don’t think there is any evidence-based way to know. I would say that if the freezer is full and opened infrequently, you’re probably more likely to be okay for the longer period of time of 12 months than if it were mostly empty and opened all of the time. However, if you have anxiety about not knowing whether you should use the milk by 6 months or 12 months, I would just plan on using it in 6 months to be on the safe side. Regarding feeding a 12 month old baby milk that was pumped months earlier, I asked a lactation consultant about this, and she said that this wouldn’t be an issue. You can read her answer here. Finally, if you think that you may not be able to use all of the milk that you pump, given your oversupply, you can consider donating it.